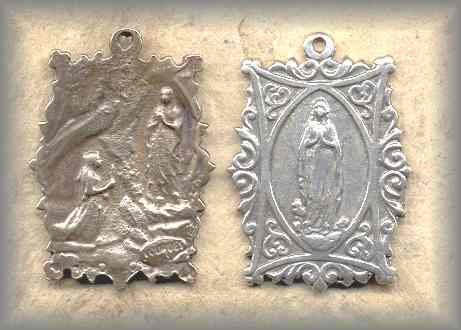 During an earlier visit to Germany as a student, the now Pope Francis saw the 1700s paining of the Lady of the Knots. 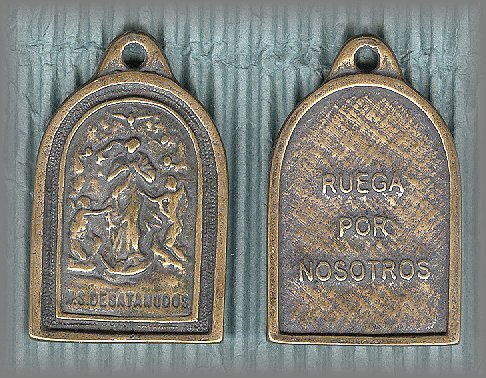 He was so touched by it that he took the devotion back to Argentina where it became very popular with the people, thus language difference. 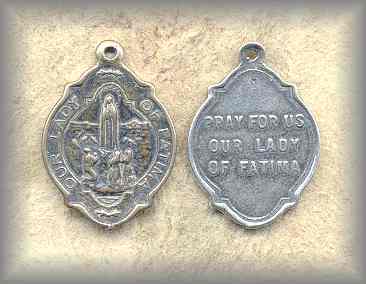 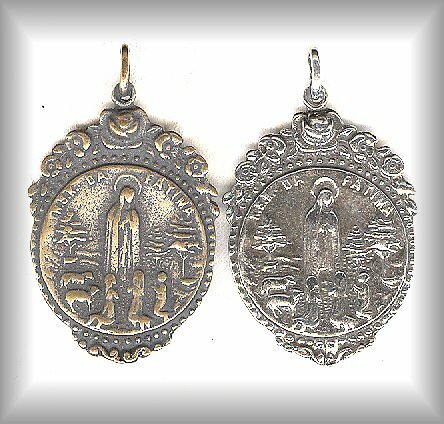 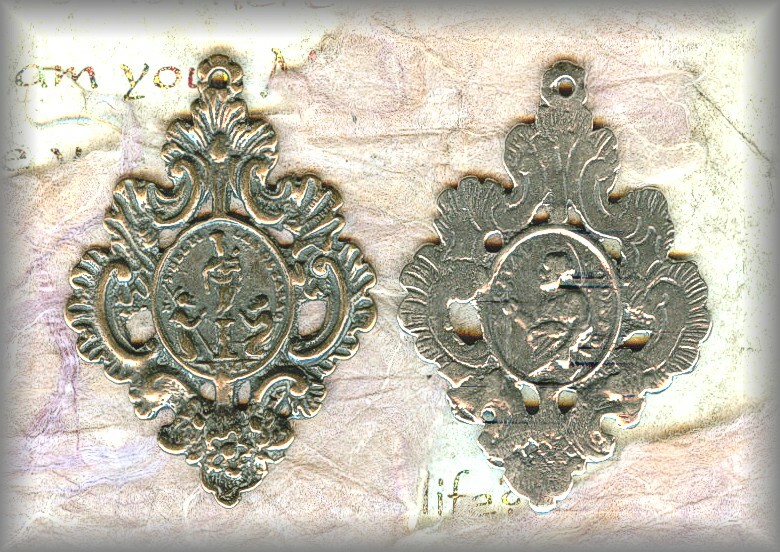 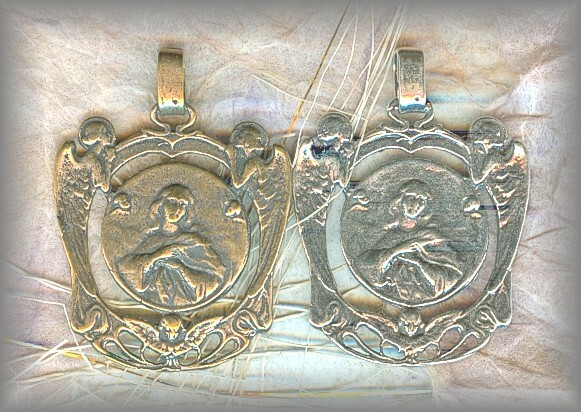 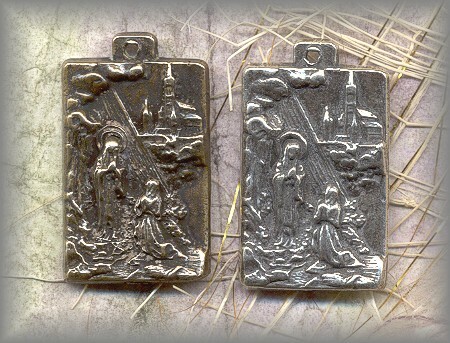 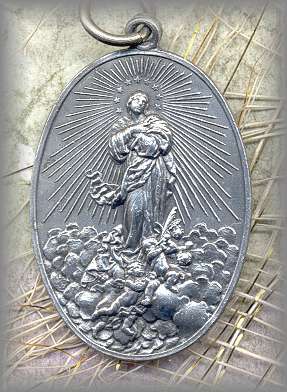 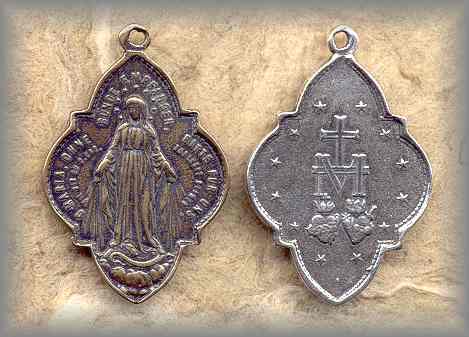 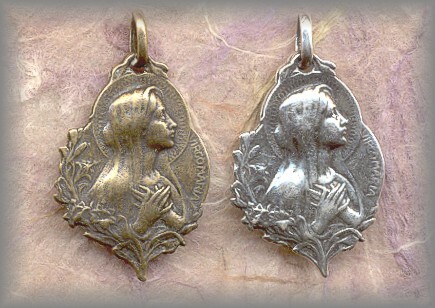 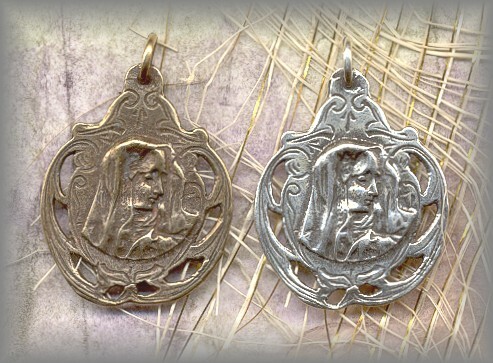 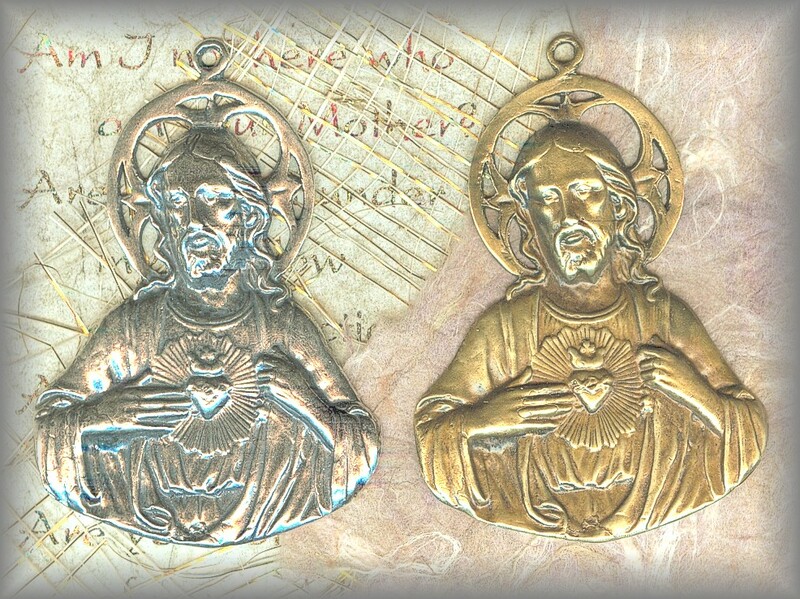 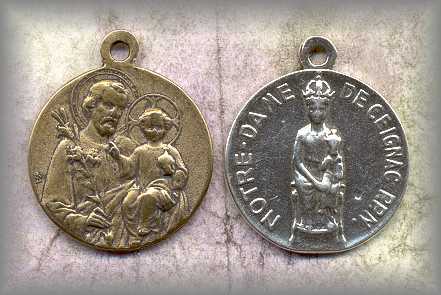 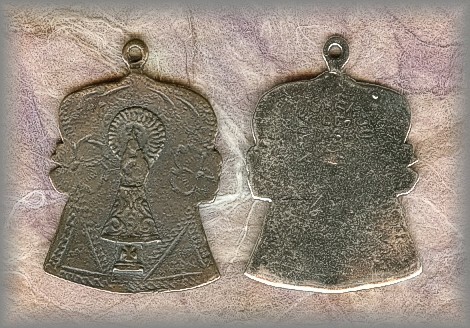 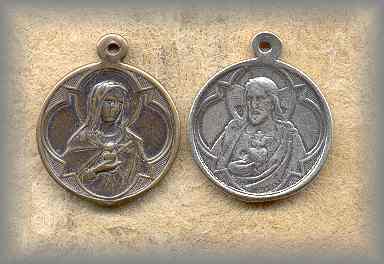 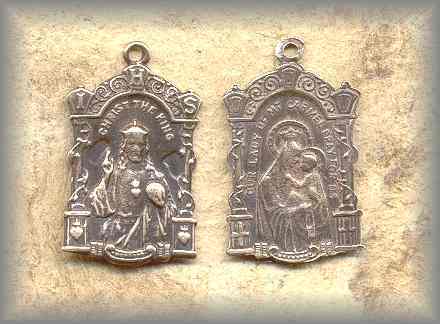 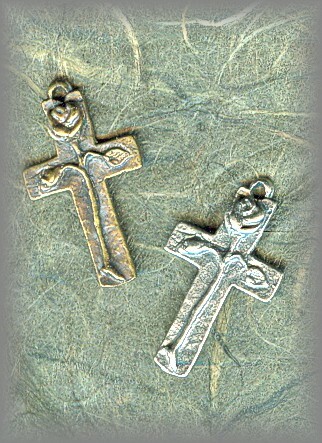 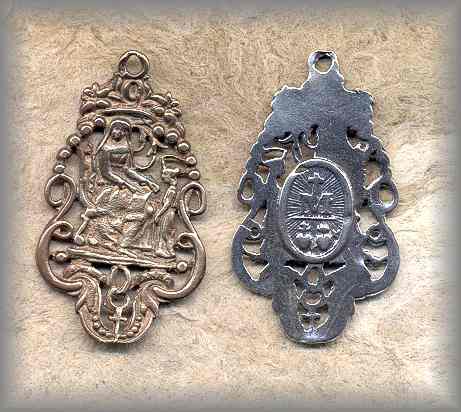 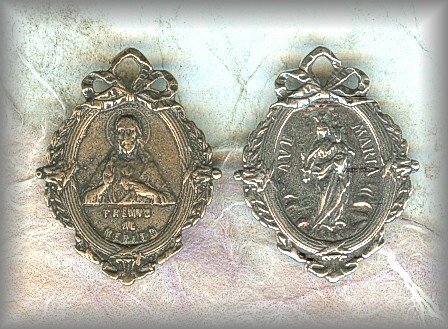 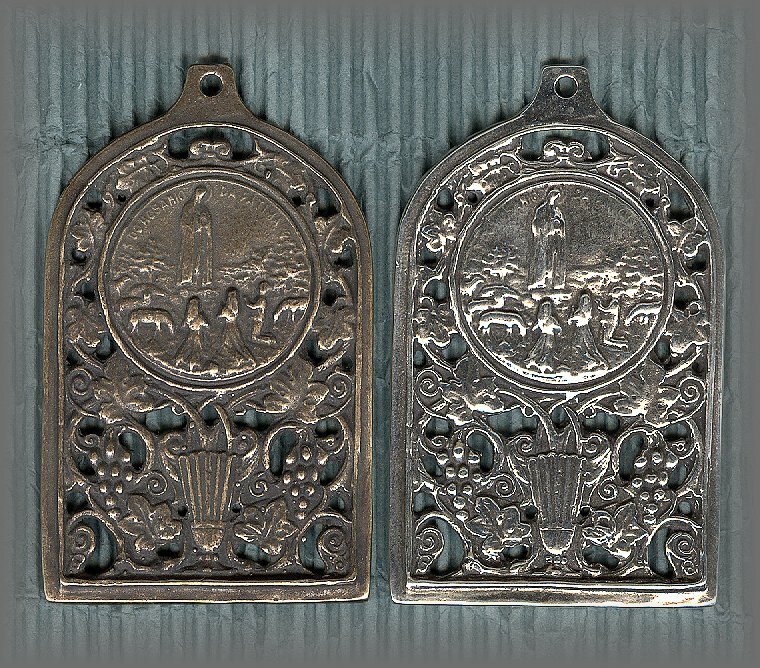 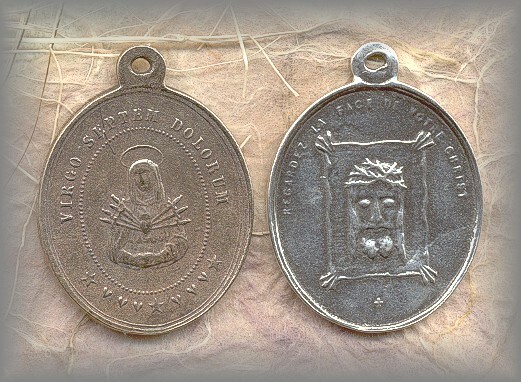 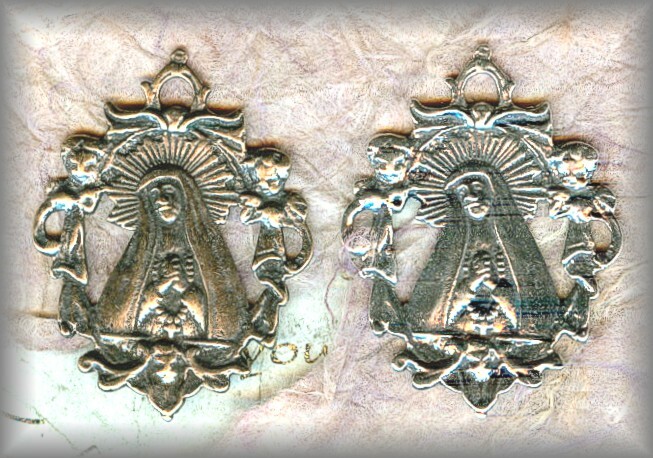 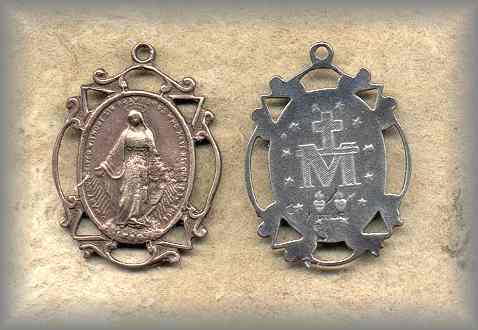 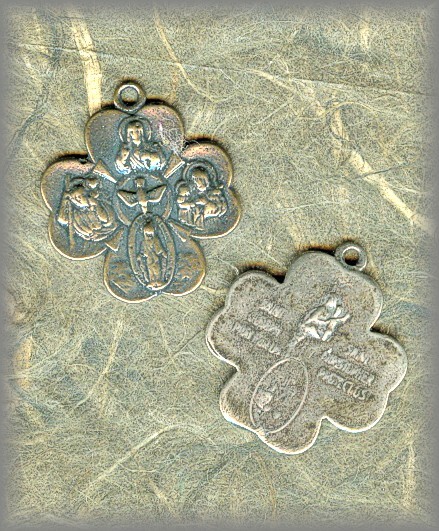 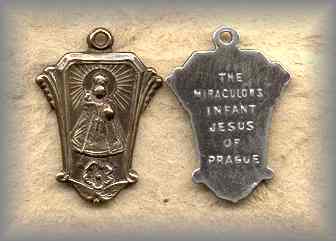 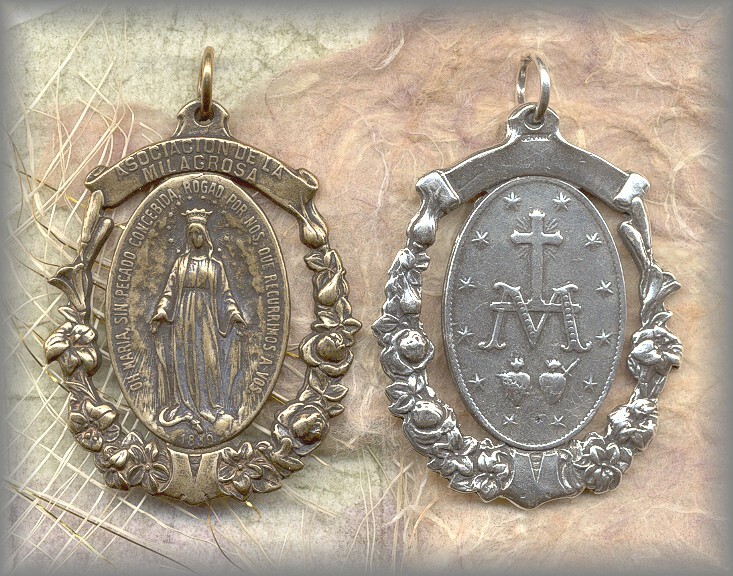 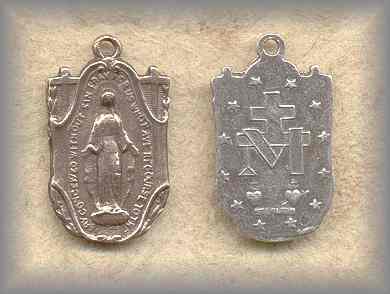 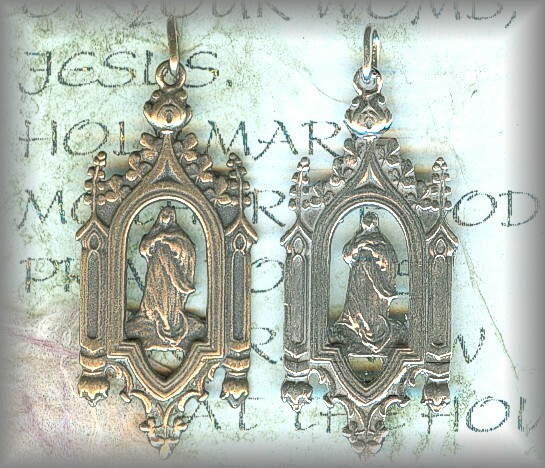 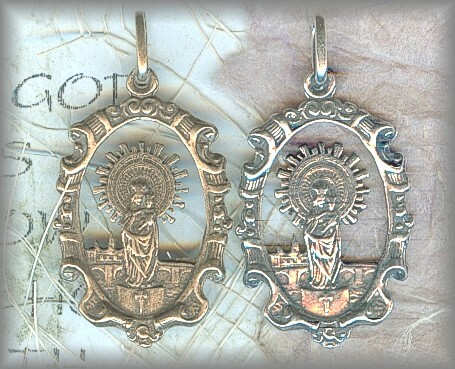 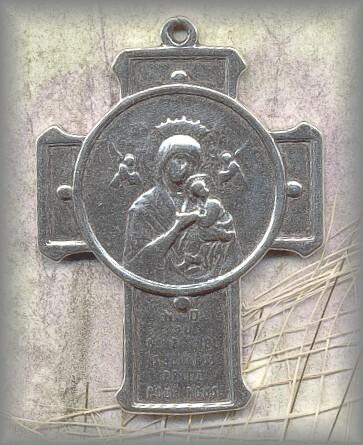 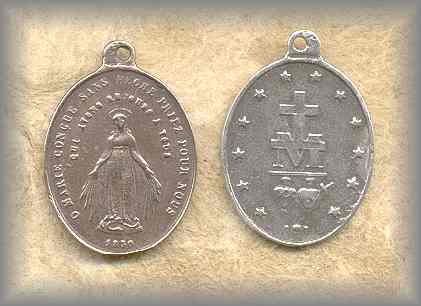 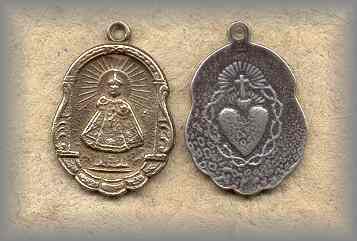 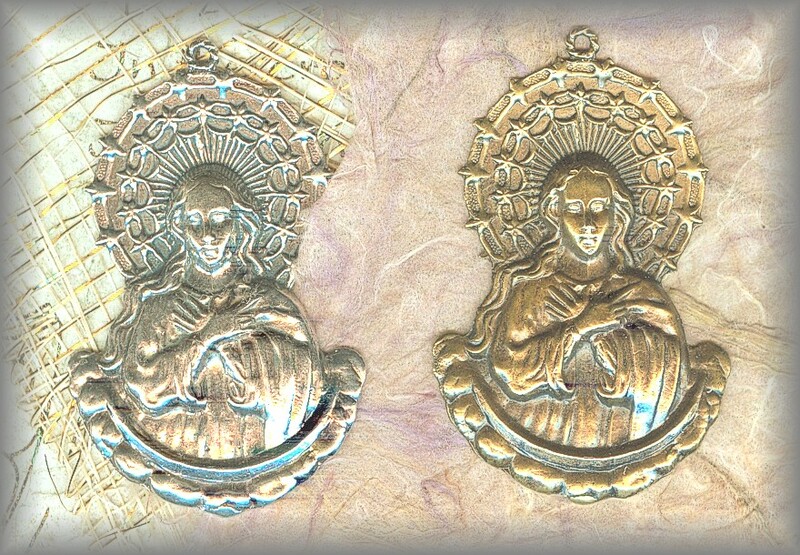 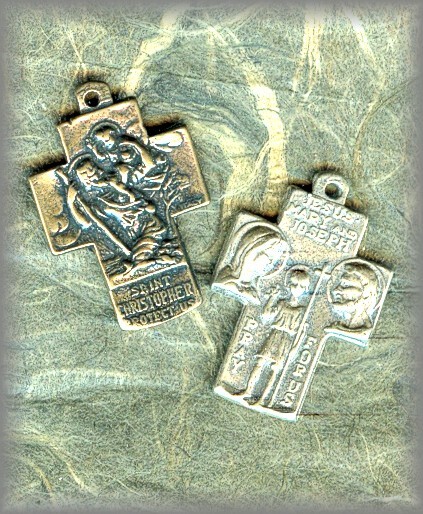 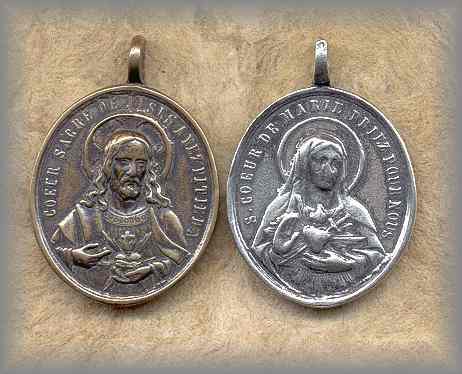 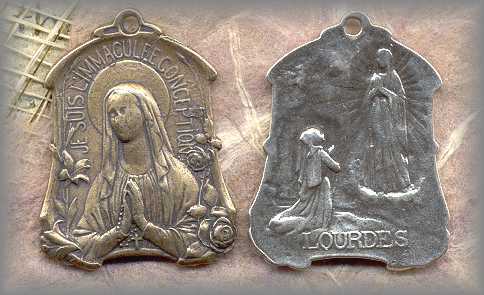 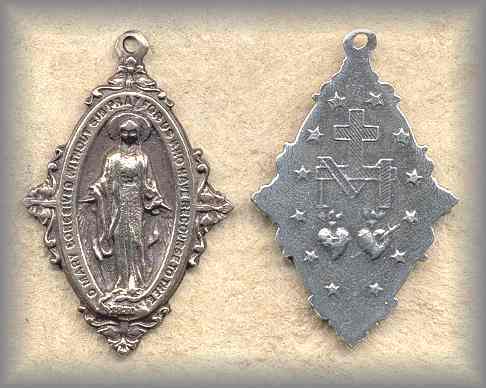 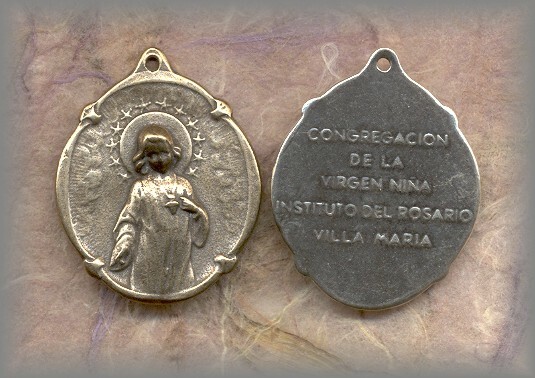 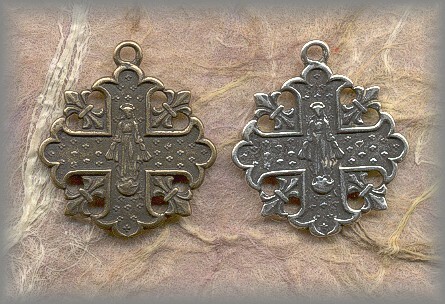 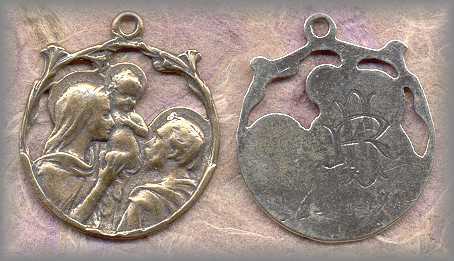 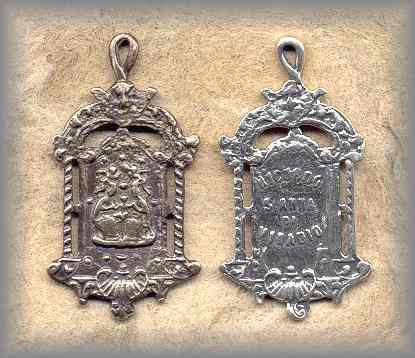 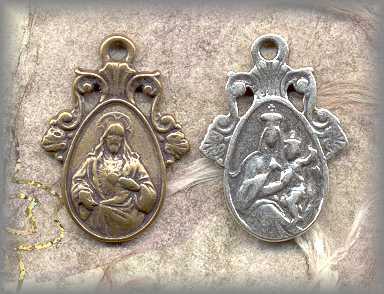 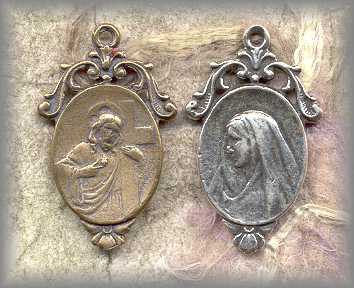 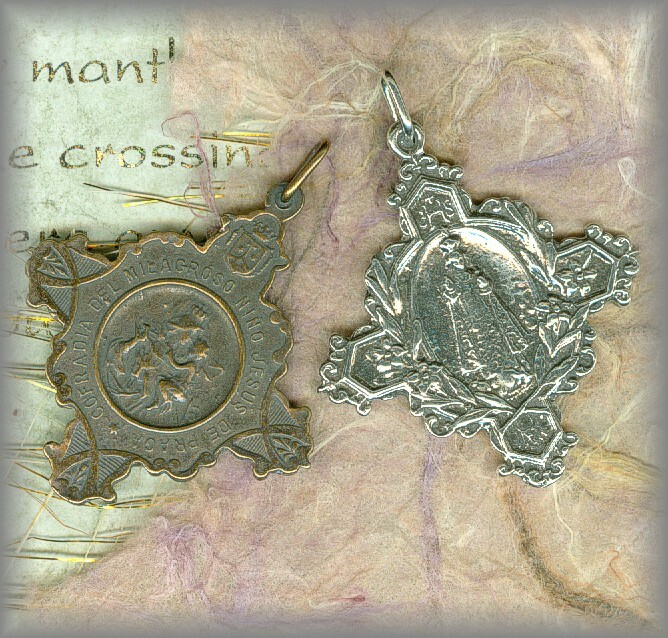 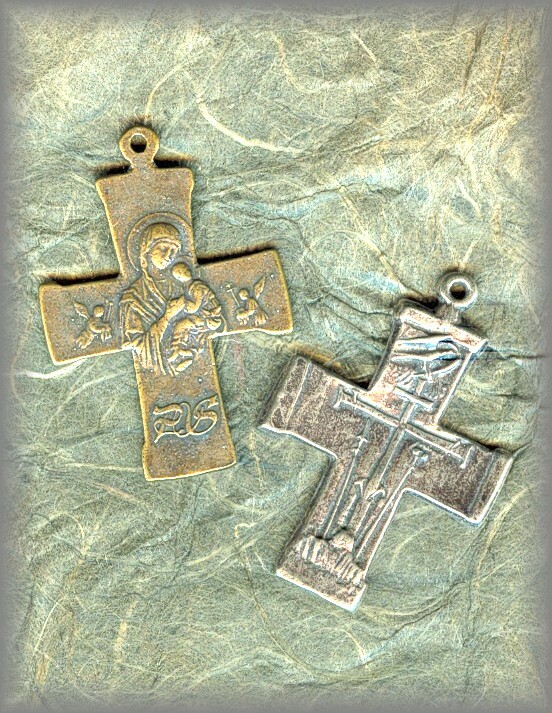 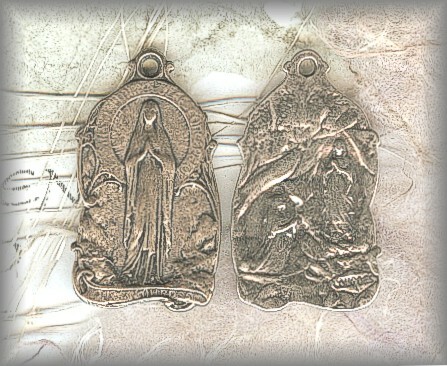 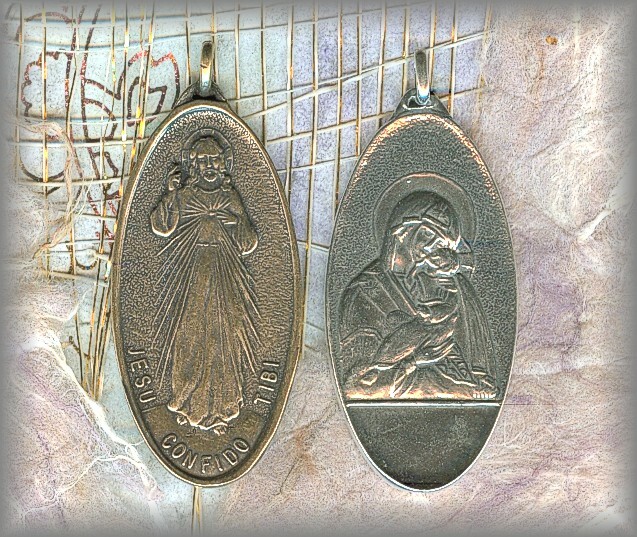 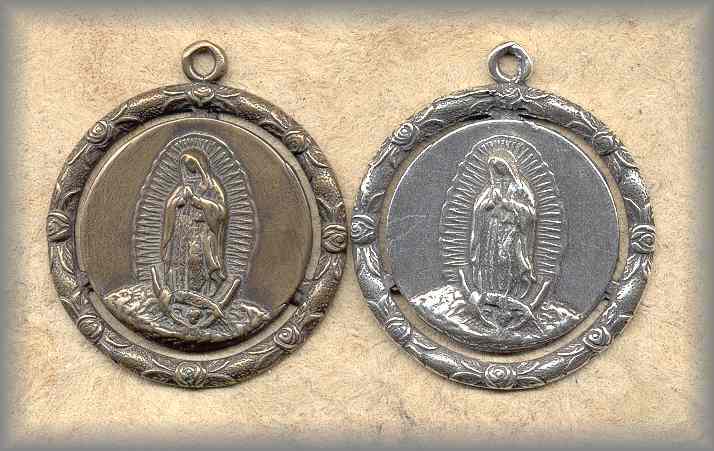 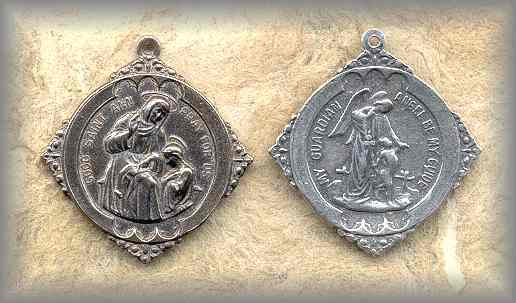 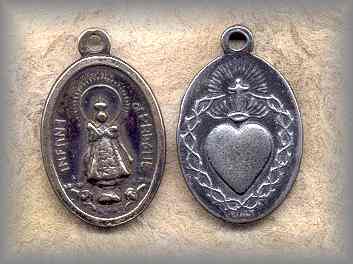 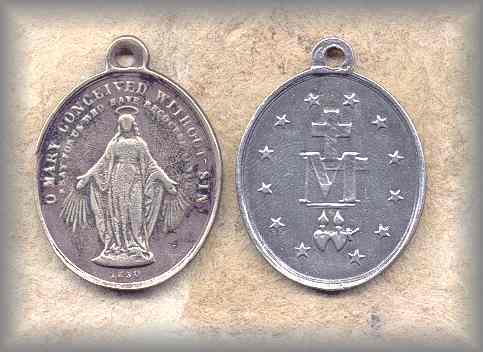 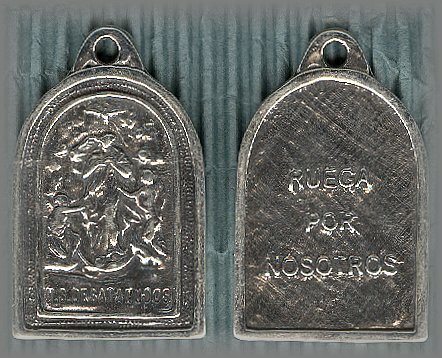 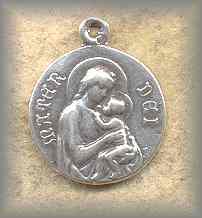 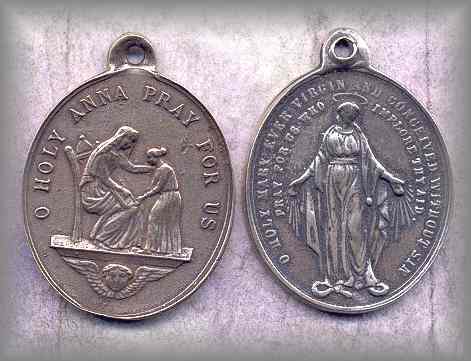 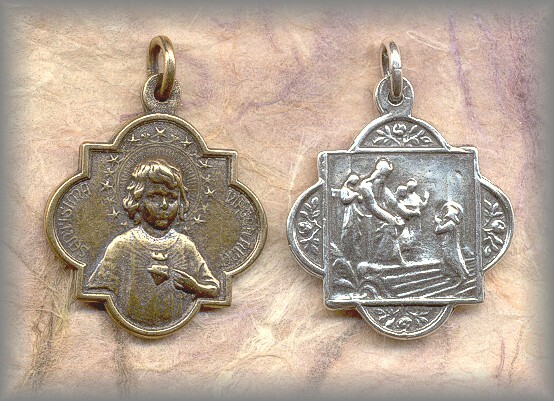 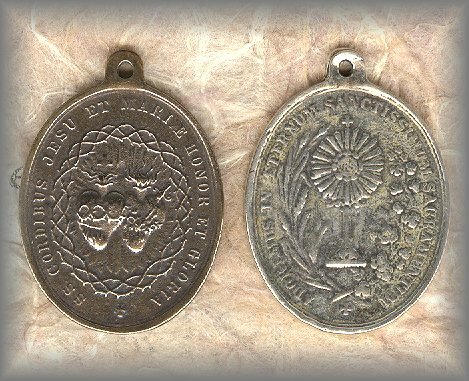 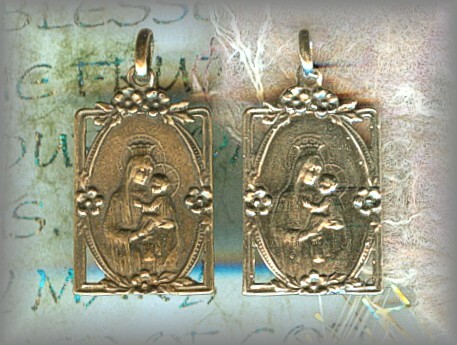 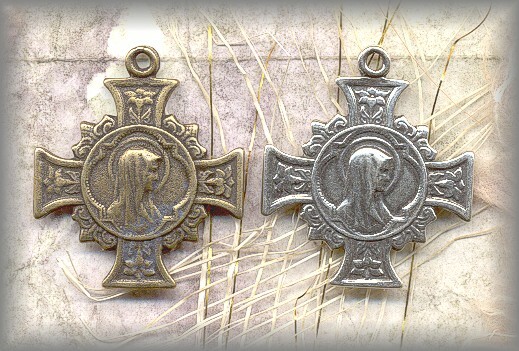 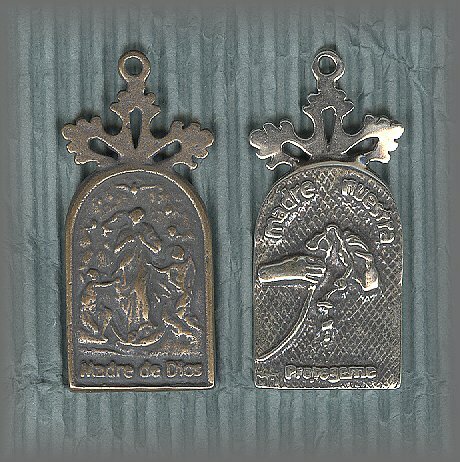 + MOTHER of GOD (left medal) shows the hands of Mary untying knots - 'Madre Nuestra - Protectress.